As a winery owner, the list of things to do is endless! With a vineyard to attend, vintage to undertake, wines to make, labels to be designed, bottles to be filled, tasting room to be operated, wine shows to enter, staff to manage and wines to sell. The list goes on and there’s simply not enough time in the day, the week, the year, to do everything that needs doing. The problem is, the wines won’t drink themselves. It’s not enough to make them, you must have strategies to sell them too! In an ever increasingly competitive and fragmented marketplace, in which retailers are squeezing margin, smart wineries are constantly looking at ways they can increase their direct sales options and achieve greater profit margins on sales. Email marketing presents a time and cost effective way of communicating directly with consumers to increase and motivate direct sales. To make sure your email marketing efforts receive the return your winery is aiming for it’s important that you are authentic, clever and concise in your approach. 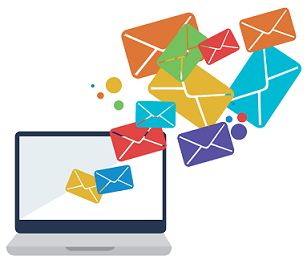 Read the below tips and tricks for email marketing and think about how you might apply them within your wine business to increase your direct sales both in the present and ongoing. Make sure the address that your email comes ‘from’ is personable. By this I mean from an actual person within the winery, that is associated with the wine, the winery and preferably mentioned in other marketing and communications. Personalising your emails has a significant effect on your email open rates and make the receiver will feel like they are a member of your wine family. Use the subject line to capture the audiences attention. These are the first words they will read and can potentially sit in their inbox to remind them of your offer and about your winery for some time. The better these words are at motivating a sale the better! Be clever, creative and true to the brand positioning. People spend less that one minute reading an email before they decide to read on or hit delete. Keep your message short, relevant, to the point and interesting. The wording used must be consistent with your brand and appealing enough to motivate them to take action. Beautiful imagery, clever graphics, and appealing photos all make people stop and look. Using professional images and scenes that are aspirational for your brand will lure people in. Make sure that you use a platform that enables you to measure your results. Data like open rates, click through percentages, unsubscribes and sales conversions are all very valuable insights. Looking at and understanding these numbers will enable you to learn what works best for your audience to ensure your newsletters are more effective in their communication. Get in touch if you would like to talk to us about how we can help you with your email marketing strategy. Sales and marketing – what’s the difference when talking wine?